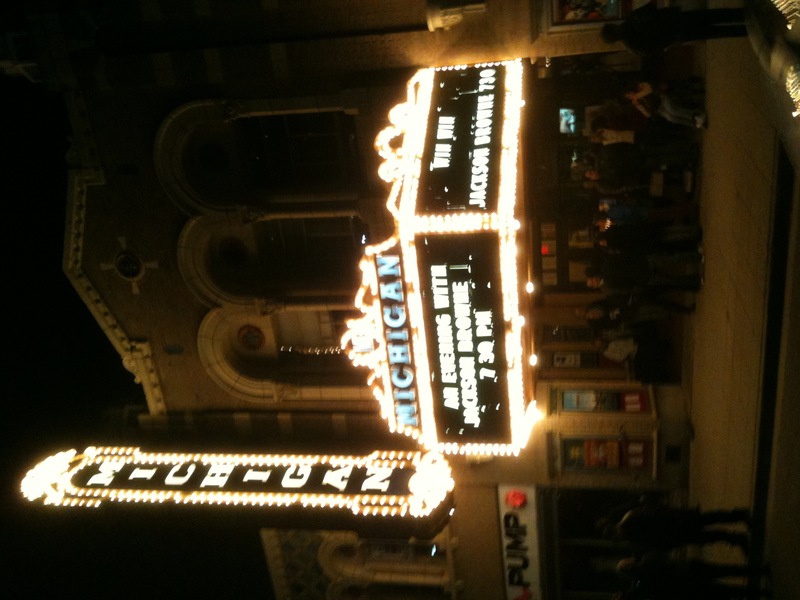 The Michigan Theater is located right in the middle of the University of Michigan campus in Ann Arbor, but this was not a act that attracted many young people. 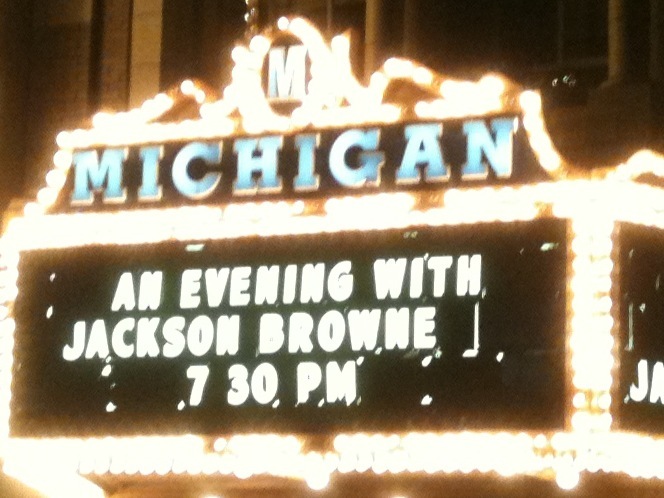 They apparently have not inherited the same kind of affection for Jackson Browne as, say, Bob Dylan or The Beatles. Rather, it was a well-dressed, wine-drinking congregation who turned out; many of them baby boomers who may have been graduating from college when Jackson Browne first arrived on the music scene some four decades ago. Browne balanced out the evening by also playing several newer songs. In fact, he opened the night with “The Barricades of Heaven” and played several songs from his most recent studio album, Time The Conqueror. Jackson laughed as he related a conversation he had recently with fellow singer/songwriter and troubadour James Taylor about performing new songs. Jackson said Taylor tells his audiences not to worry, that basically “the new songs are just like the old ones anyway.” And he had a point. Other than some unfamiliarity with lyrics, the newer songs blended in splendidly with his early material to form one solid and consistent sounding body of work. He even worked in one Mariachi-flavored song, written recently about , guess what, the old days. It seemed to be the night’s theme. 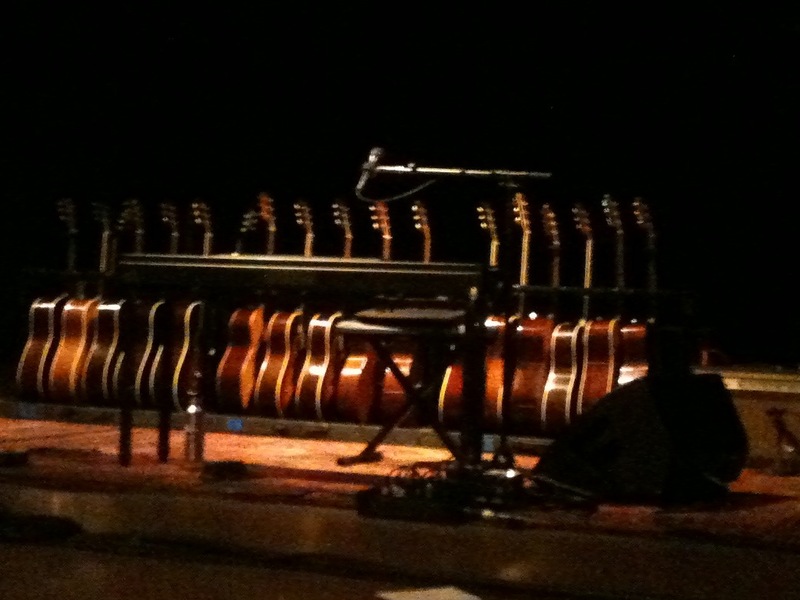 It was fun to watch the ease with which Browne selected a particular guitar from the rack of acoustic guitars behind him, sometimes picking one up only to put it back and select another. 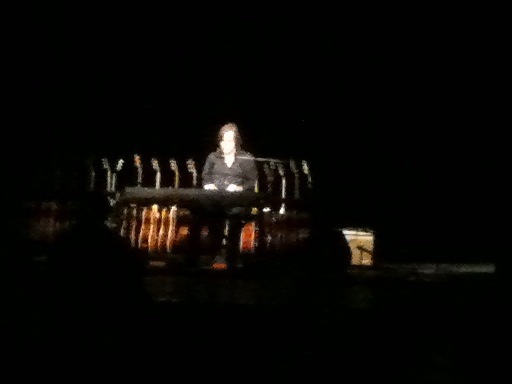 It was as if each guitar has a personality of its own and only certain guitars could be used to play certain songs. Browne performed the three-hour concert (including a half-hour intermission) without any kind of paper setlist, although he seemed to know in his head and intuitively what songs would work well next to one another. Browne was also quite flexible in song choices, happy to take requests/suggestions from the crowd as they shouted out many of his most familiar songs. Lyrics like these sung so movingly are what has garnered Jackson Browne the devoted following he’s had for the last forty years. They were also what had the audience at the Michigan Theater on their feet at the end of the night cheering; fully satisfied and renewed.